The paper 1 examination has conducted in the morning session and the evening session the paper 2 have been held. A few month ago, Telangana Education Board gave the notification to fill around 10000 posts in TS TET 2016. These posts were for teacher recruitment.About two lakhs candidates sat in the examination at various center in Telangana State. All the candidates took the test successfully on the particular date, timings as per given by Telangana Board. All the candidates who have appeared for the exam are forcing the TS TET board to announce TS TET result 2016 as soon as possible. All the candidates are eagerly waiting for the result declaration. It was expected to declare the result on June 2nd,2016. As the result is not announced on that particular date Telangana state is not providing any reason for the delay of the TET results. After the completion of the examination, the Telangana state board has released the official key for the TET exam. The result will be announced by the minister of Telangana state.The minister is Mr. Kadium Sri hari. It will announce the result on the official website of www.tstet.cgg.gov.in. This year the government is planning to handover the responsibility to State Public Service Commission. According to latest updates, the Department of Telangana State is waiting for the approval from the state. The result will be declared soon on the official website. when does the telangana govt declare the tstet results 2016. plz let us know. It is inapropriate to hold the TET results for the political reasons. 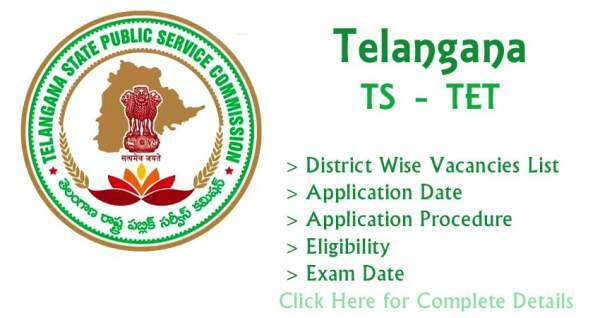 Lacks of student’s career and work decisions are depending on TET results and TSPSC/DSC notification, which enables them to decide whether to join work or prepare for the exams. This delay causing many troubles to many individuals and families as well. Telangana government should take this issue into consideration and make things easy for everyone. Waiting Egarley for the results ……. Plz release them SOON…..